WWGFD?. . HD Wallpaper and background images in the Half Life club tagged: half-life 2 half-life 2 valve gordon freeman. 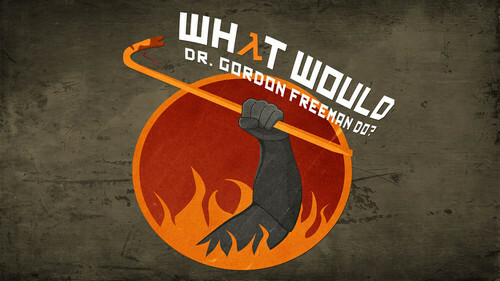 This Half Life wallpaper might contain sign, poster, text, chalkboard, anime, comic book, manga, and cartoon.